As the North American Commercial Vehicle Show draws near, some trucking industry-related companies have begun to speak about their exhibitions at the show, including some announcements in technologically-related fields. Continental AG, a global supplier in automotive-related manufacturing has announced that it will present a reported one-of-a-kind platform for remote digital tire monitoring at the North American Commercial Vehicle (NACV) Show on Tuesday, September 26, 2017. 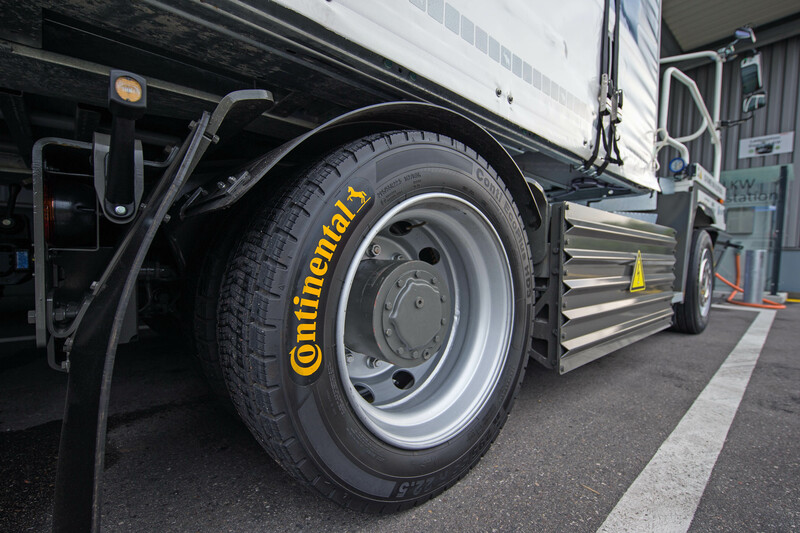 According to Continental, the latest addition to the company’s portfolio of fleet solutions is a unique and complete system that allows fleets to actively monitor the performance and wear on truck tires as well as protecting tries from damage that may be long-term. Continental reports that the platform is the first of its kind in Canadian and U.S.-based markets, and allows users to inspect and replace tires on trucks with targeted and automatic monitoring, which may also lead to less maintenance and inspection time overall. Additionally, the system presented by Continental may also helps fleets save on expenditures related to safety and improve overall security on the road. The system can also reportedly help fleets define common problems with tires due to the regular wear that the trucks put on tires so that fleets may anticipate tire-related maintenance problems. Continental reports that more details regarding the tire monitoring system will be presented at the scheduled NACV press conference. The Continental press conference will be held at 1:30 p.m. in both #1412 led by Paul Williams, executive vice president for Commercial Vehicle Tires in the Americas for Continental. Continental also reports that it will use its booth at the NACV to present more offerings for tire monitoring solutions as well as other products in its portfolio.